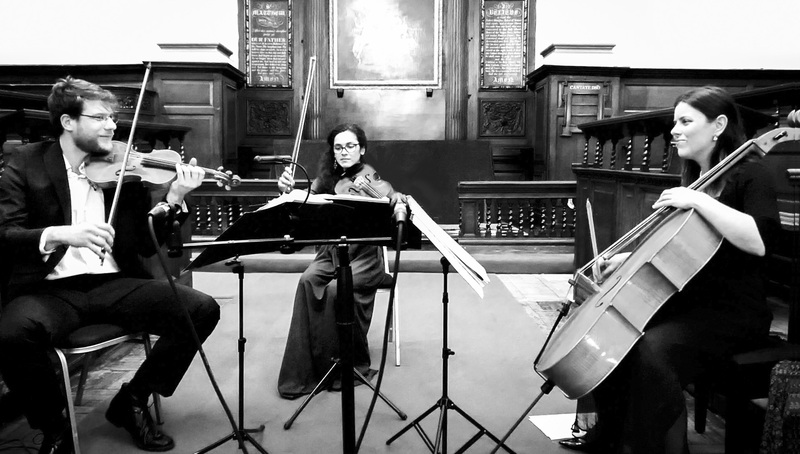 The Veles Ensemble is a classical string trio based in London, UK, exploring rarely heard masterpieces as well as bringing the classics to life and onto the concert stage. The ensemble is also committed to promoting new compositions and contemporary music: the Veles Ensemble recently recorded their debut CD with chamber music by British composer Steve Elcock that was released on the Toccata Classics label in December 2018. The Veles Ensemble was founded in 2016 by three young successful classical musicians – soloists, recitalists and performers in leading London chamber orchestras: Evva Mizerska – cello, Ralitsa Naydenova – viola and Hartmut Richter – violin. The Veles Ensemble occasionally expands to play as a piano quartet and other more rare line-ups. The Veles Ensemble have recently released their debut CD for Toccata Classics with chamber music by composer Steve Elcock. The ensemble is currently preparing a CD recording of chambermusic by Austrian/British composer and musicologist Egon Wellesz. Individually, Evva and Hartmut have recently been featured on a NAXOS CD with works by late Stephen Dodgson that was released in August 2017. For more information on Evva, Ralitsa and Hartmut please see the Biography page.